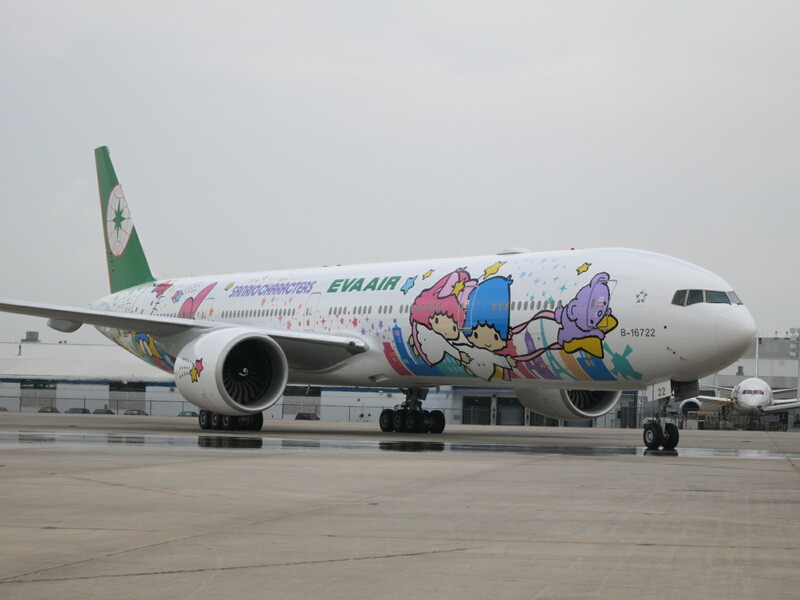 Star Alliance member and United partner EVA Air, based in Taiwan, currently flies Hello Kitty planes to Los Angeles and Chicago. The ‘Shining Star’ jet flies to Chicago three times a week, from Taipei (flight BR56) on Wednesday, Friday, and Sunday and from Chicago (flight BR55) on Monday, Thursday, and Saturday. 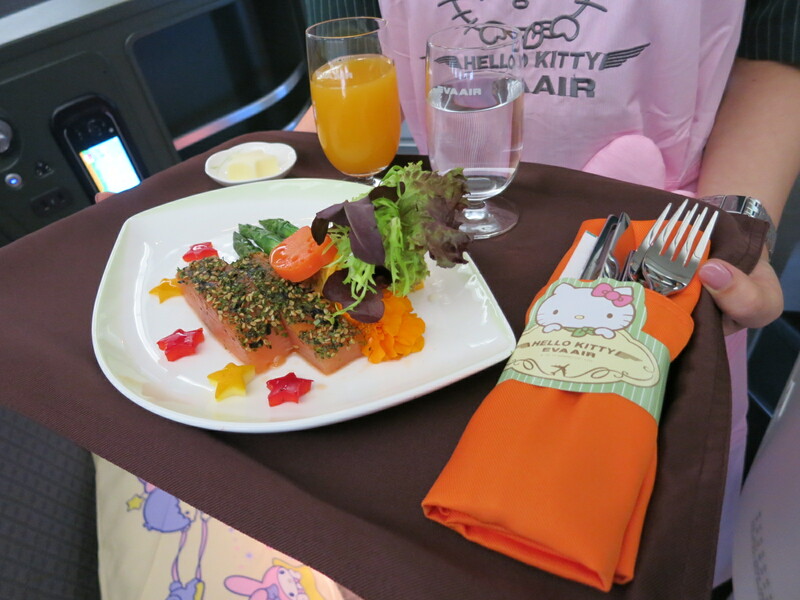 There are special boarding passes and baggage stickers, Hello Kitty crew uniforms, and the seats are transformed into Hello Kitty with headrest covers and pillows. Meal service features utensilves, cups, and napkins that are Hello Kitty. The lavatories are stocked with themed toilet paper. Los Angeles service is offered three times weekly with the Sanrio Family Hand in Hand jet. This aircraft will cease flying to Los Angeles on October 27 and begin flying to San Francisco instead October 29. In the second quarter of 2020, however, that aircraft will be withdrawn from service to be returned to its lessor. That’s one less Hello Kitty plane that will be in the fleet. Yup. Who cares. This Hello Kitty obsession is ridiculous and infantile. Toilet paper looks nice though. 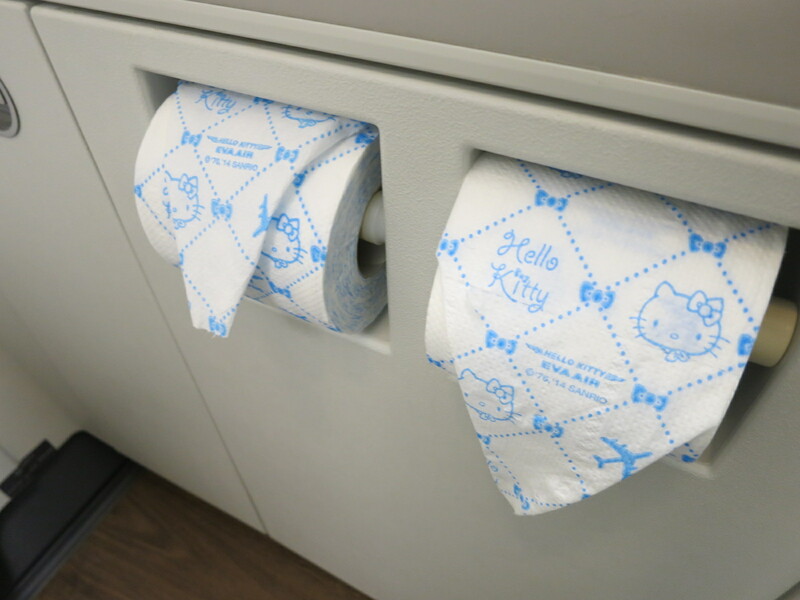 This is obscene, allowing people to wipe their dirty, feces laden anuses on Hello Kitty. Alternatively, it is sexual abuse to put urine and vaginal secretions on Hello Kitty’s face. This toilet paper is going overboard. The napkin rings, however, are very cute. Lol, so much hate for a toy icon. If you’re really that against it you don’t have to fly it. It’s a marketing ploy, yes, but it makes no difference to me. For some, on the other hand, it may be a very special experience. Asian Miller ain’t wrong. When I was in Taipei in 2016 and they towed the Hello Kitty jet to the gate, everyone lined up to take selfies with the sucker at the gate. Except me of course. Do we know what flight number(s) out of SFO?